How Do We Label Race? Recently, I led a workshop on the race-less life and after reviewing the oral, physical and later pseudo-scientific origins of race, I asked the participants, “How do you label race?” I’m sure that the question is an unfamiliar one as race does the labeling in our society. We are seemingly lined up at birth, waiting to receive its judgment. We know the labels that race places on us. We know where we stand in terms of race and though we cannot trace the origins of white/black/red/yellow/brown/beige people, we claim allegiance to these colored groups. We know our place, what box we fit into. We know what race says about us, its slurs and “compliments.” But, this knowledge does not capture the position of race in our lives, the relationship that we share. So, how would you label race? What part does race play in your life and what say, if any, do you have in its position? 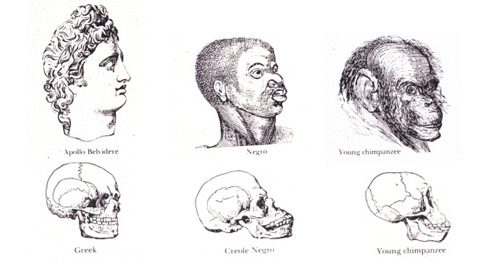 Is race viewed as a god, one believed to possess special and superior knowledge of humanity? If so, ridding ourselves of race would be seen as absurd, impossible and blasphemous. Is race a parental figure, a grandparent whose wisdom we trust or an older sibling we look up to? Then, if we rid ourselves of race, it would feel like turning our back on a family member. Or, does race represent a social authority, a judge or law enforcement officer? Perhaps, this is why it is difficult to break its rules. But, truly, who do we upset, what crime do we commit if we don’t follow its social laws? Certainly, race is not supported by God’s law and our belief in race does not make us more or less Christian. How do we label race? I believe that the answer will demonstrate why it is so difficult to rid ourselves of it.